Published: Nov. 19, 2018 at 11:51 p.m. Published: Nov. 19, 2018 at 11:26 p.m. Published: Nov. 11, 2018 at 04:52 p.m. 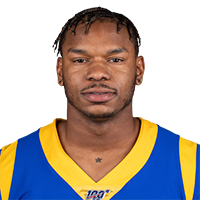 Published: Dec. 3, 2017 at 04:54 p.m.
Jared Goff finds rookie Gerald Everett for 1-yard touchdown.